Welcome to Warren McLean Cartage Ltd! Warren McLean Cartage Ltd is a friendly, locally owned transport business that has been based in Drury since 1996. 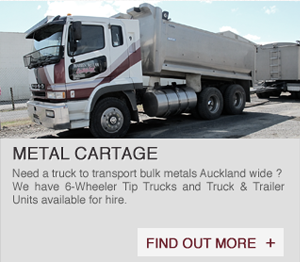 Today the business comprises 6-wheeler tip trucks and truck & trailer units that transport bulk aggregates, topsoil and clay throughout the Auckland region. From July 1st 2018, Warren Mclean Cartage have sold their bulk water division. The new owners are Brian and Maria Quigley trading under the name of A Plus Water.